BlockShopper is the single best resource for finding local Las Vegas real estate information. We include information not only on home prices, nearby properties, but also on Foreclosures, Properties for Sale, For Sale By Owners and of course, we include the names of the buyers, sellers and owners of properties. 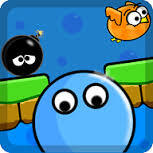 Bob’s falling……..and he needs your help in this addictive 2D endless falldown game! !